Synopsis: Laying hands upon the injured and dying, Avry of Kazan assumes their wounds and diseases into herself. But rather than being honoured for her skills, she is hunted. Healers like Avry are accused of spreading the plague that has decimated the Territories, leaving the survivors in a state of chaos. Stressed and tired from hiding, Avry is abducted by a band of rogues who, shockingly, value her gift above the golden bounty offered for her capture. 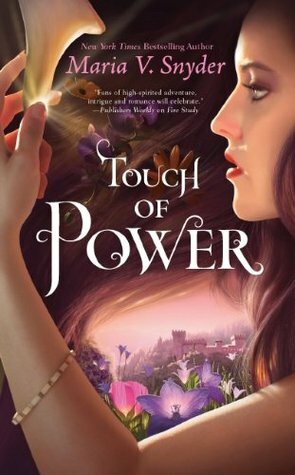 Their leader an enigmatic captor-protector with powers of his own is unequivocal in his demands: Avry must heal a plague-stricken prince, the leader of a campaign against her people.